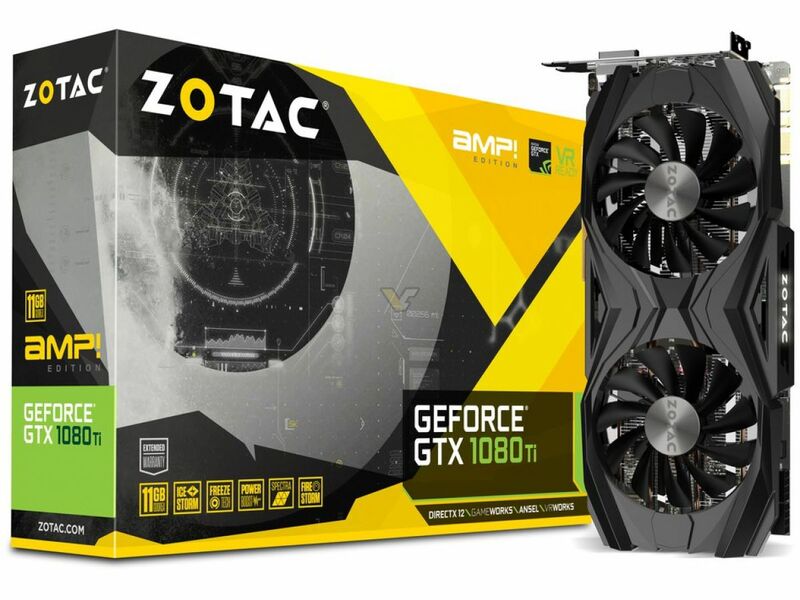 ZOTAC Gaming has new AMP models to show, much different from the previous designs. You might recall AMP series from Pascal generation, these cards are dual-fan and they offer a very simple look. 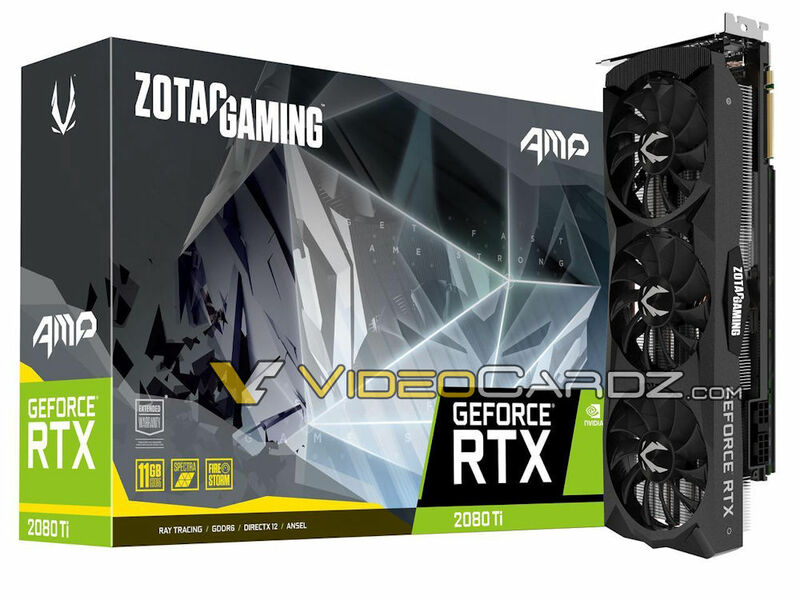 With Turing, ZOTAC is going a step further, by adding a third fan. Of course, these are not Extreme models, hence lack of most RGB features, yellow backplates, and very high clocks. Both cards (or more precisely their renders) look identical, except for power delivery: the RTX 2080 Ti model has dual-8pin connectors, while 2080 is 6+8pin. Do note that the packaging+card picture is incorrect.